Bob Marley - "Live At The Rainbow"
The very first time on DVD: The legendary "Bob Marley & The Wailers" concert "Live at the Rainbow" 1977 in London. 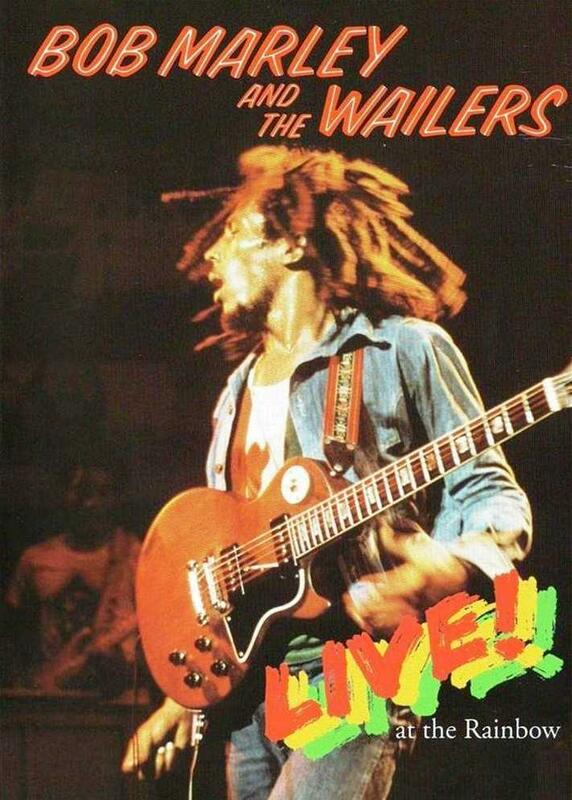 At this event, the Wailers consisted of: Carlton Barrett (drums), his brother Aston (bass), Junior Marvin (lead guitar) and backing vocals trio Rita Marley, Judy Mowatt und Marcia Griffiths. At this time, 'Exodus' was high in the Charts and very popular. As Special Features you find more than one hour of interactive bonus footage, recorded in 2004 in Kingston and Nine Mile. Rare pictures of Bob Marley's house, mausoleum and the Tuff Gong Studio in Jamaika.